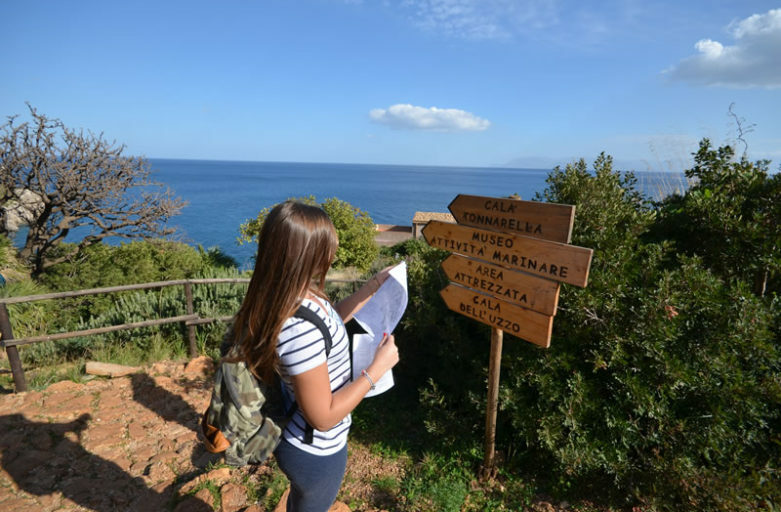 The Zingaro Nature Reserve is a magnificent stretch of Sicilian coastline that attracts every year over 300.000 visitors and many, unfortunately, do not use appropriate clothing, above all, closed and comfortable shoes believing to go to any seaside resort. Unfortunately, especially in the summer, there are more or less serious incidents - especially ankle fractures and sprains - that require the intervention of specialized operators such as the Alpine Rescue or even a helicopter. There Riserva dello Zingaro it has no roads, only paths. Ambulances can not transit the reserve. It is an impervious area even if the walkways are well maintained and marked. This is why it is good to follow a series of tips so that your excursion into the Zingaro Nature Reserve will remain a wonderful experience to remember and tell your friends. Obviously, we must distinguish if the period chosen to visit it is the summer season compared to the winter season. In the warmer seasons, who attends the Riserva dello Zingaro it does so above all for its fantastic sea, accessible through its seven wonderful bays: Tonnarella dell'Uzzo, cala dell'Uzzo, cala Marinella, cala Berretta, cala of the Disa, cala of the Varus, cala Capreria. The temperatures in this period are high therefore in the backpack should never miss an adequate supply of water, light and easily digestible food, cool clothing and breathable. A hat is compulsory, perhaps with wide flaps. Do not make the mistake of entering the reserve with the flip-flops or sandals ... you will not go very far and subject your feet to torture that they do not deserve. Then enter wearing boots or sturdy sneakers. The sandals, the flip-flops or better the rock shoes you will wear as soon as you arrive in the cove that you have chosen for your bathroom. In winter, the Zingaro nature reserve, retains all its charm, with its colors that fascinate. There are in fact many trekking lovers who visit the reserve this season. In this case it is necessary to take care of the clothing more. A good windbreaker, a fleece, comfortable long trousers, a hat, food and water. 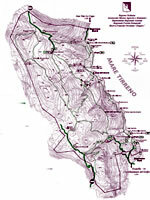 The non-sultry climate of the summer, among other things, will allow you to venture on the paths of the high Zingaro that require more effort. The signs are good and allows you to estimate the distances thanks to the reported travel time. At the entrance you will be given a map and however the prudence and understanding of their ability to walkers should always be taken into account. Careful not to overlook the charge of your mobile phone. You can use it to call for help in case of need or as a navigator. Even the consultation of the weather, especially in the cold season, is advisable. In the summer season it is important to note that in the scirocco days the reserve closes to the public for security reasons. It is also essential to respect the regulation of the Reserve. In particular: do not leave the paths, pick flowers or plants and do not give food to wild boars that often, in the latter period, it is easy to spot and approach. Finally, we remember that it is not possible to introduce any type of animal. ← Riserva dello Zingaro, the best tips for visiting with children. Riserva dello Zingaro, the best tips for visiting with children.